Nothing tastes better after a day of hiking, exploring or just relaxing in nature, than a camp meal. With car camping we can be a little more extravagant, since we are not as limited in weight like backpacking, and we can afford to carry the wine, the spices or the Dutch oven, that can make each meal so fun. It just takes a little planning and a few different cooking techniques to make it all come together. To do the actual cooking we have two methods; the camp stove or the camp fire. The camp stove will either be fueled by white gas, a liquid fuel, or by propane, a gas. Your local outfitter will typically stock many different brands of stoves for purchase. The camp fire can provide heat for several cooking methods; the Dutch oven, cooking in foil, a grill over the coals or skewers, to name a few. Cooking chicken on the grill. What food you want to cook remains as endless as your imagination. Some basics to consider for preparation are as follows. If you have time, try to do much of the prep work before leaving home. 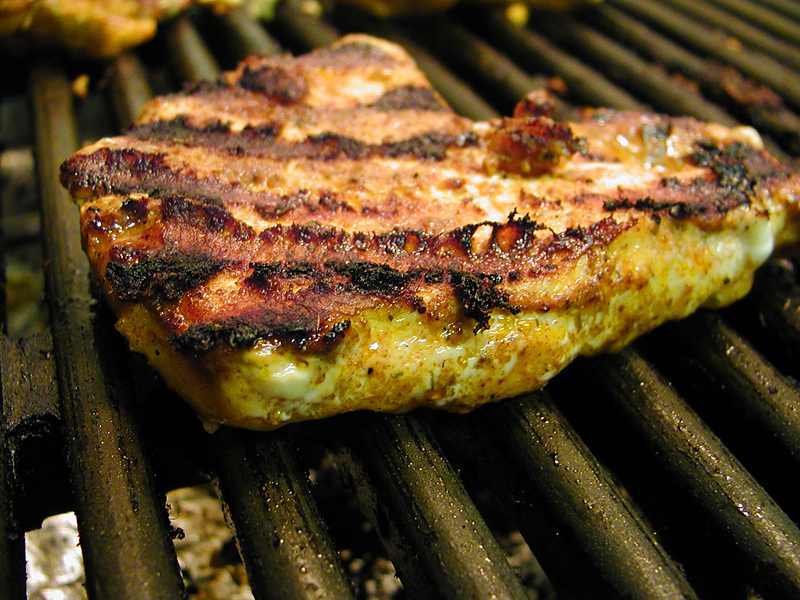 For example, marinate the meat or the vegetables you will fry, grill or skewer at home and place them in a freezer bag for the trip. Frozen meats placed in the cooler will be thawed for the cooking if you time it right. Save yourself some more time by cutting up your vegetables at home, such as mushrooms or potatoes, so you are ready to fry them up. 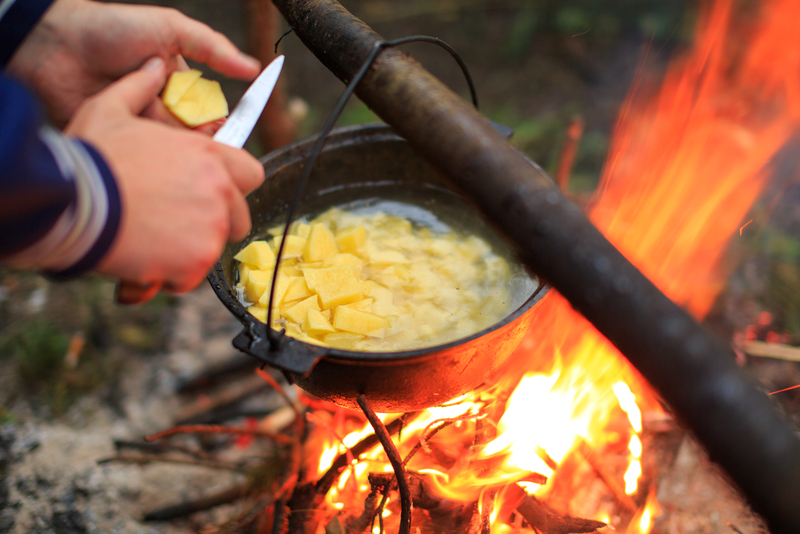 We have started a collection of Camp Recipes and Technique on our Pinterest Board. Come take a look !